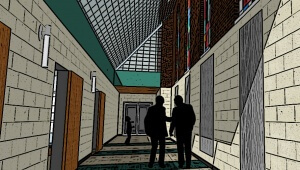 Another unique component of the project is a complete redesign of the main corridor which connects the fellowship hall to the sanctuary. The scope of work includes removing a 9’ tall ceiling and installing a new 48’ long Kalwall roof system. “The corridor, already a busy space for movement, will also be used as additional fellowship areas with movable kiosks. To open up this space to approximately 22’ tall and allow the stained glass windows of the existing church to be within the interior of the building will really create an inviting, naturally day lit space. Our team is very excited to see how this space will be transformed,” added VanSoest. Gerald Shenk, a building committee member, reflects on the committee’s experience thus far with Ancon and states: “Ancon has truly shown that they listen carefully before they start to design and build. We have had numerous sessions in planning together and each time they came back with a new version of the plan that captures what we were talking about. It is important when we are managing a complex process of decision making to know that we are all pulling in the same direction.” The project, overseen by Project Manager Doug VonGunten and Field Superintendent Steve Taylor, is anticipated to be complete in Mid-December. About Ancon’s Church Design-Build process: Church specialists at Ancon form a Design-Build team who strives to listen and to understand a congregation’s unique ministry. We have found that no two churches are a like – so finding the appropriate solution to the current ministry needs or for the needs of the future must be strategically and thoughtfully examined. 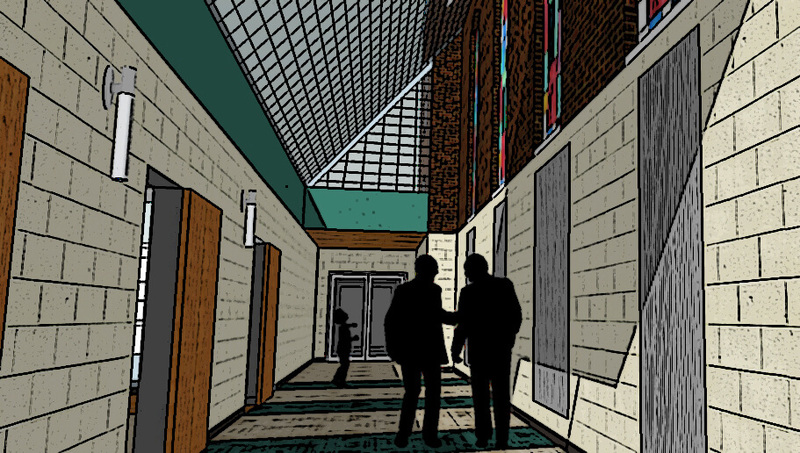 The team remains conscious by researching best practices – what issues congregations are facing and how they respond to those issues through building projects. It is our hope that by learning best practices in church-worship design, we provide a building and space to enable a congregation to reach and exceed their mission, vision, and purpose.